Cholesterol is bad and lowering cholesterol is good. Well, at least this is what we’ve been led to believe for nearly four decades. But it’s a misconception — a big, fat stinking lie. Here’s what we’re learning about cholesterol — and what it really means to your health. Cholesterol is the smoking gun that frequently gets linked to the onset of cardiovascular disease. The word itself has turned into a kind of pejorative, widely regarded as a near toxic substance that pervades our arteries and brings only misery. But scientific work over the past 10 years has done much to clarify the influence of cholesterol on our health, and by consequence, dispel a number of myths associated with it. As it turns out, the association between cholesterol and cardiovascular disease (the so-called LDL-heart disease hypothesis) is weak. Physicians are starting to accept the fact that cholesterol levels do not strongly predict our chances of developing heart disease — and there are now over a dozen studies that prove it. What’s more, these studies show that among otherwise healthy persons with no prior history or symptoms of heart disease, taking statins does nothing to help — and in fact, they might even be harming us. Indeed, when it comes to heart disease — a condition that kills about 600,000 people in the United States each year — there are other important health factors to consider. Looking back, it’s easy to understand how cholesterol became such a boogie man. Part of the problem, at least among the general public, is that its role in the body and in human health is poorly understood. Rather than seeing it as something that’s crucial to life, cholesterol is oftentimes seen as a foreign and undesirable substance that’s introduced into the body via certain foods. So it’s fair to ask: what exactly is cholesterol? Cholesterol is a waxy, fat-like substance found in all cells of the body, produced by the liver to help perform thousands of bodily functions. We need some cholesterol to produce important things like hormones, vitamin D, and substances that help us digest certain foods. Without it, we wouldn’t be able to maintain adequate levels of testosterone, estrogen, progesterone, and cortisol. An organic molecule, cholesterol also assists in the production of cell membranes, the covering of nerve sheaths, and much of the brain. To get around the body, cholesterol travels through lipoproteins — small packages made of fat (lipid) on the inside, and proteins on the outside. There are two types of lipoproteins: low-density lipoproteins (LDL) and high-density lipoproteins (HDL). LDL is what’s considered “bad” cholesterol, as it leads to a buildup of cholesterol in arteries, and HDL is what’s considered “good” cholesterol, as it carries cholesterol from other parts of the body back to the liver. And it’s our liver that removes the cholesterol from the body. All foods containing animal fats contain cholesterol, including cheese, egg yolks, beef, pork, poultry, fish, and shrimp. But they can also reside in foods containing trans fats. High blood cholesterol is what happens when we have too much of it in our blood, a condition that, by itself, carries no obvious signs or symptoms. The medical establishment, for the most part, believes that people who have higher blood cholesterol have an increased chance of getting coronary heart disease — excess plaque built-up inside the heart’s arteries, limiting the flow of oxygen-rich blood to the heart. This irregular accumulation of plaque, which is made up of cholesterol, fat, calcium, and other substances found in the blood, is what’s referred to as atherosclerosis. Credit: National Heart, Lung, and Blood Institute. Sometimes, if an area of plaque breaks open, it can cause a blood clot to form on the surface of the plaque. But if large enough, it can mostly or completely block blood flow through an artery — a blockage that can cause angina or a heart attack. Conventional medical wisdom suggests that a high level of LDL puts us at an increased risk of acquiring heart disease, whereas higher levels of HDL offers a lower chance of getting heart disease. Our levels of cholesterol can be measured by having a having a fasting lipoprotein profile, which measures total cholesterol, LDL, HDL, and triglycerides. The test report indicates cholesterol levels in milligrams per deciliter of blood (mg/dL) to determine how cholesterol levels are affecting our risk of heart disease. Back in 1971, the Framingham Heart Study offered the first bit of evidence that elevated cholesterol was an important risk factor for heart disease. The study, a 14-year follow-up on 2,282 men and 2,845 women, indicated a relationship between blood cholesterol levels and an incidence of coronary heart disease over the range of cholesterol levels between 150 and 300 mg/dL. These findings were later reinforced by the Multiple Risk Factor Intervention Study (MRFIT). But the association between cholesterol levels and heart disease began in earnest with the publication of the Lipid Research Clinics Primary Prevention Trial (LRCPPT) (1984) and the Helsinki Heart Study (1987) — the very first studies to suggest that reducing blood cholesterol levels could influence the onset of coronary heart disease. In the Helsinki Heart Study, the researchers, after a five-year trial, found that slightly elevating HDL while lowering LDL could reduce the risk of coronary heart disease in middle-aged men with abnormal amount of lipids in the blood (the drug of choice was the fibric acid derivative, gemfibrozil). Yet almost immediately, critics began to question the efficacy of these studies and the purported association. Experts complained that the reduction in coronary events between the treated groups and placebo groups were insignificant, that subjects were taking inconsistent amounts of medication, or that lifestyle factors and other issues weren’t properly taken into consideration. More importantly, Big Pharma got into the picture. Pharmaceutical marketing and the promotion of statins,has had much to do with many of the misconceptions surrounding cholesterol. Introduced in 1987, statins were shown to lower blood cholesterol by affecting how much of it is produced by the liver, how much the intestines absorb, and how much it circulates around the body. A 1994 study, a randomized trial of 4,444 patients concluded that statins can lower the risk of heart disease, heart attacks, and stroke. The researchers concluded that statins, specifically ones that lowered LDL while raising HDL, had an effect on mortality and morbidity in patients with coronary heart disease. And indeed, since that time, the use of statins has absolutely skyrocketed. Today, according to the National Center for Health Statistics, nearly a quarter of all Americans over the age of 45 take statins. It’s a huge business — featuring brand names like Lipitor, Crestor, Pravachol, Mevacor, and Zocor — that rakes in nearly $15 billion each year. The pharmaceutical industry, it would seem, has a vested interest in promoting the idea that a causal link exists between cholesterol levels and heart disease. It’s a link, however, that science is continually failing to reproduce. As we’re now learning, statins do not appear to play an important role in primary prevention. For people with no prior history, the impact of statins are miniscule. They reduce the risk of having a heart attack or stroke from 3-4% to just 2%. Put another way, 60 people would have to take a statin for five years for one to avoid a heart attack — the so-called NNT (number needed to treat). And 268 people without heart disease would have to take a statin for five years for one person to be saved from a stroke. But for those people who have already had a heart attack or stroke, they do appear to work. And in fact, statins are awesome for people with a prior history; they can decrease a patient’s chance of dying or having a major cardiac event by a third. Disturbingly, there are harms associated with statins. Statins may affect energy production in muscles, making it harder to exercise and creating muscle pain. As a 2013 study pointed out, "Musculoskeletal conditions, arthropathies, injuries, and pain are more common among statin users than among similar nonusers." Postmenopausal women taking statins may have increased risk of diabetes. Also, intensive statin therapy (compared with moderate) may likewise increase risk of diabetes. Other studies are cracking the LDL-heart disease hypothesis. One of the most significant blows came in 2008 with the publication of John Kastelein’s ENHANCE study in the New England Journal of Medicine. The trial, a 24-month investigation involving 720 patients between the ages of 30 and 75, essentially found that a combination of two drugs did lower LDL levels — but it did not reduce plaque. Two years earlier, Göran K. Hansson showed that 50 to 75% of people who have heart attacks have normal levels of cholesterol. Add to that the fact that nearly 75% of patients who are hospitalized for a heart attack have cholesterol levels that do not indicate a high risk for a cardiovascular event (at least according to current national cholesterol guidelines). Simply put, cholesterol levels are a weak predictor of who will have a heart attack. And it’s gotten to the point where some people are refusing to have their blood cholesterol measured. Moreover, statins do not reduce incidences of or mortality from heart attacks, and raising HDL levels may not make any difference to heart disease risk. The study’s authors emphasize that they are not questioning the well-documented finding that higher HDL levels are associated with lower heart disease risk. But the relationship may not be causative. Many assumed it was because the association was so strong and consistent. Researchers also had a hypothesis to explain how HDL might work. From studies with mice and with cells grown in the laboratory, they proposed that HDL ferried cholesterol out of arteries where it did not belong. 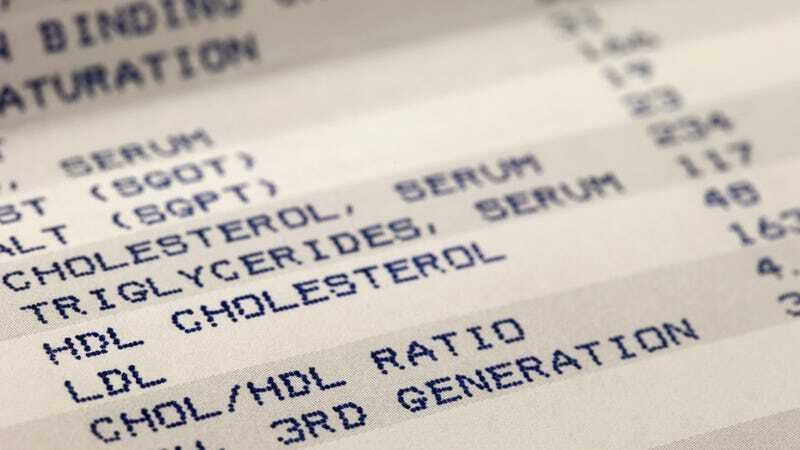 Now it seems that instead of directly reducing heart disease risk, high HDL levels may be a sign that something else is going on that makes heart disease less likely." It’s worth noting that the LDL-heart disease hypothesis is still supported by some data. Recent studies show that statin benefits people with cardiovascular risk factors, and that statins are likely to be cost-effective in primary prevention. One of the biggest cholesterol myths out there has to do with dietary fat. Although most of us have been taught that a high-fat diet causes cholesterol problems, this isn't entirely true. Here's why: The type of fat that you eat is more important than the amount of fat. Trans fats or hydrogenated fats and saturated fats promote abnormal cholesterol, whereas omega-3 fats and monounsaturated fats actually improve the type and quantity of the cholesterol your body produces. In reality, the biggest source of abnormal cholesterol is not fat at all — it's sugar. The sugar you consume converts to fat in your body. And the worst culprit of all is high fructose corn syrup. Consumption of high fructose corn syrup, which is present in sodas, many juices, and most processed foods, is the primary nutritional cause of most of the cholesterol issues we doctors see in our patients. So the real concern, argues Hyman, isn’t the amount of cholesterol we have, but the type of fats and sugar and refined carbohydrates in our diet that lead to abnormal cholesterol production. What’s more, we should be concerned about the causes of inflammation, imbalances in blood sugar and insulin, and oxidative stress. Inflammation is particularly problematic as far as heart disease is concerned. People with high levels of a marker called C-reactive protein (CRP, a by-product of inflammation) had higher levels of risks of heart disease than people with high cholesterol. To reduce inflammation, avoid trans fats, saturated fats, a sedentary lifestyle, stress, and gum disease. Also, be aware of your family history, and adjust your lifestyle accordingly. Sources not cited: National Heart, Lung, and Blood Institute, American Heart Association, The UltraWellness Center/Mark Hyman, Saturday Evening Post/Sharon Begley. Top image: marekuliasz/Shutterstock; 'Statin's image Lightspring/Shutterstock .